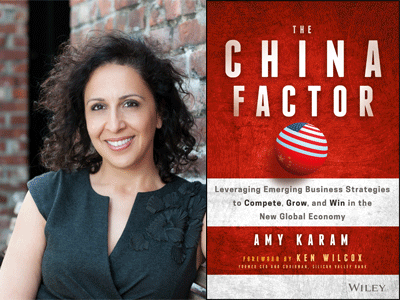 Speaker, consultant, author, and corporate instructor of Stanford University courses, Amy Karam discusses The China Factor: Leveraging Emerging Business Strategies to Compete, Grow, and Win in the New Global Economy. In order to remain competitive in the global marketplace, Western companies must uphold their innovation advantage by evolving their approach to creating new products as well as the way they do business abroad. The China Factor is your in-depth guide to the best practices and tools for remaining competitive globally in the face of new competitors who are playing by different rules.